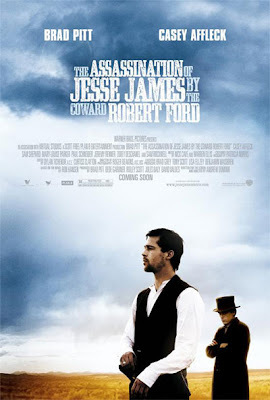 Just a reminder, the contest to win an Assassination of Jesse James by the Coward Robert Ford poster from Warner Brothers ends tomorrow at midnight. So send in those entries while there's still time! Click here for info on how to enter. The winner will be announced on Wednesday, October 31, the first anniversary of From the Front Row.